Two year molars can be painful and baby may even have trouble falling asleep. You can help to soothe the pain by giving him something cool to bite on. 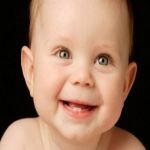 Baby grinding teeth occurs around 8 to 12 months of age. About 1/3 babies would have the habit and outgrow it. If you're still worried, see your dentist to have it professionally monitored. 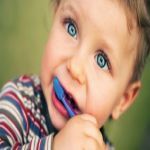 When to start brushing baby teeth? You can start when baby's first tooth comes and keep doing it for him until he gets 7. Follow the guide to brush your baby's teeth correctly and choose the right toothbrush. Is diarrhea caused by teething? Perhaps. If so, how to deal with teething diarrhea? Teething would cause other symptoms like drooling and gum swelling. Pulling out baby teeth is an exciting and nerve-wracking thing. Best to allow baby teeth fall out naturally. If it's not possible, follow the 5 steps to pull out baby teeth without causing much pain. 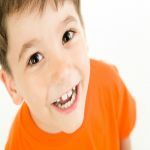 My child’s teeth are yellow, what to do? 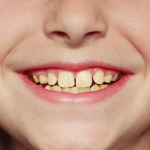 Child's yellow teeth may be caused by conditions like fluorosis and tetracycline. 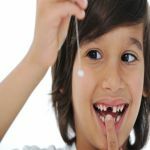 See a dentist first, then help your child to keep a good oral health! 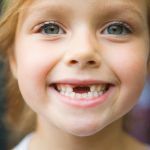 A child losing teeth can be a rite of passage. Reassure them by helping them understand what is happening and why. And make sure your child keep a good oral health! 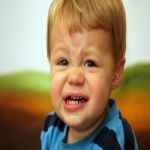 The specific time of baby teething varies, but it helps to know generally when do babies start teething, the signs of teething and home remedies for teething pain. Your teething baby will cry more, eat less and develop symptoms that are alarming and worrying. Are teething and fever related? 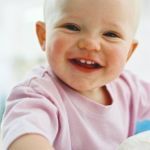 How to soothe a teething baby? 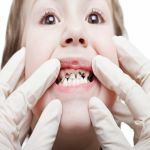 Cavities in children is no big deal, but it requires proper precautions and safety measures. You'd better read this article to know more about it.